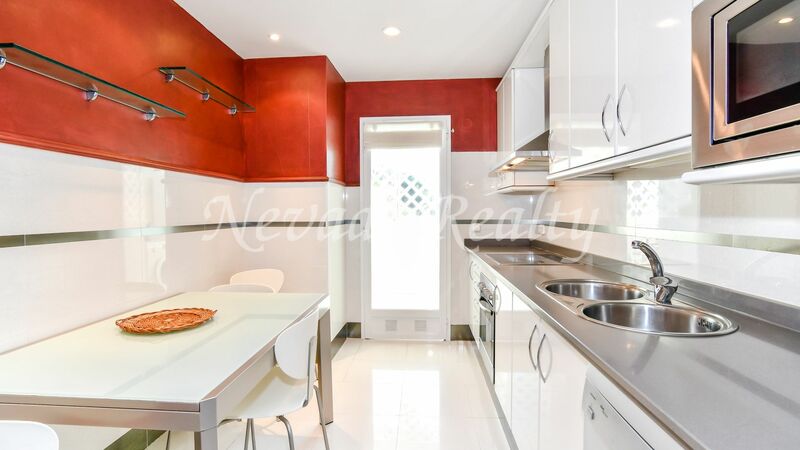 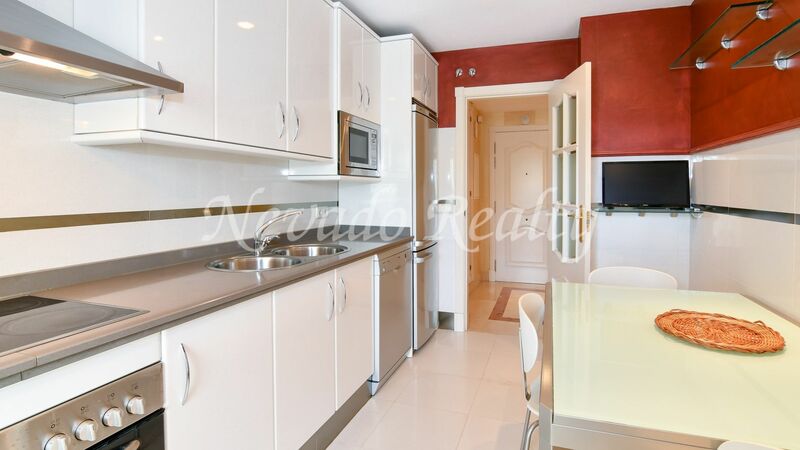 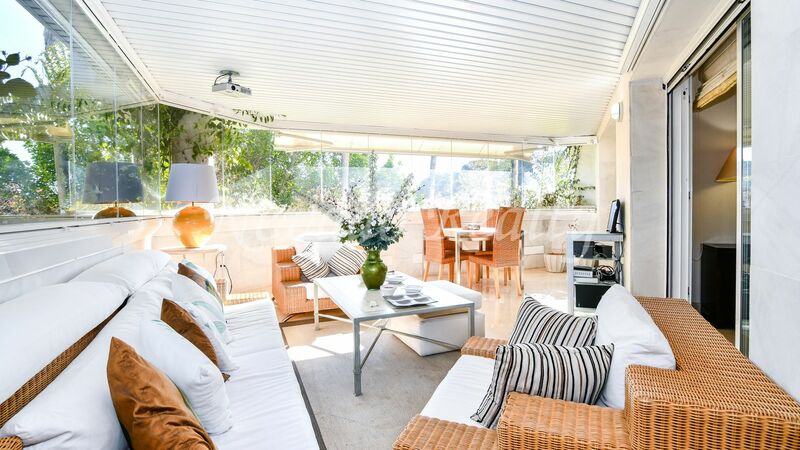 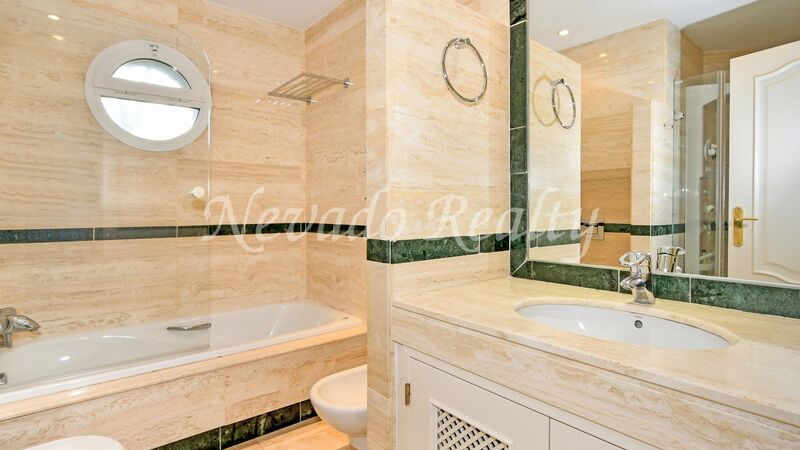 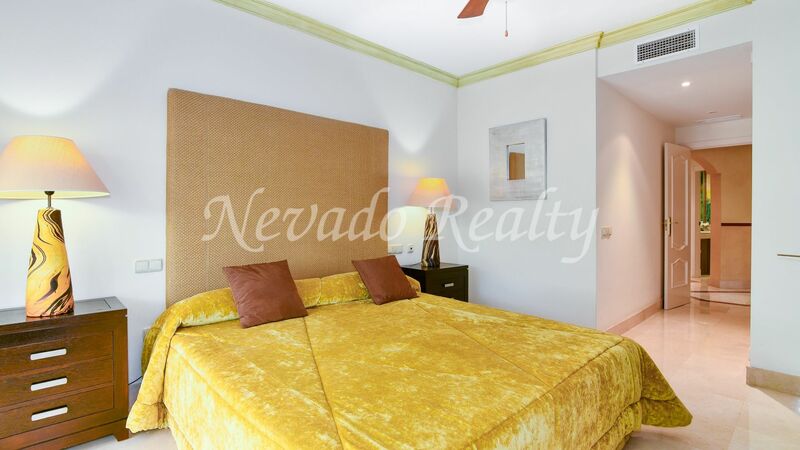 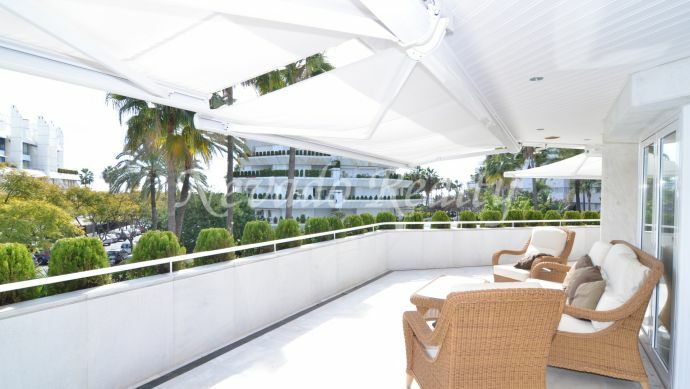 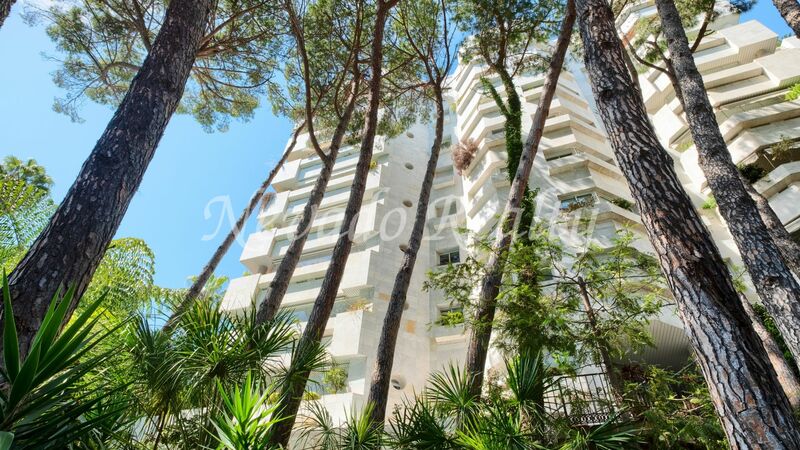 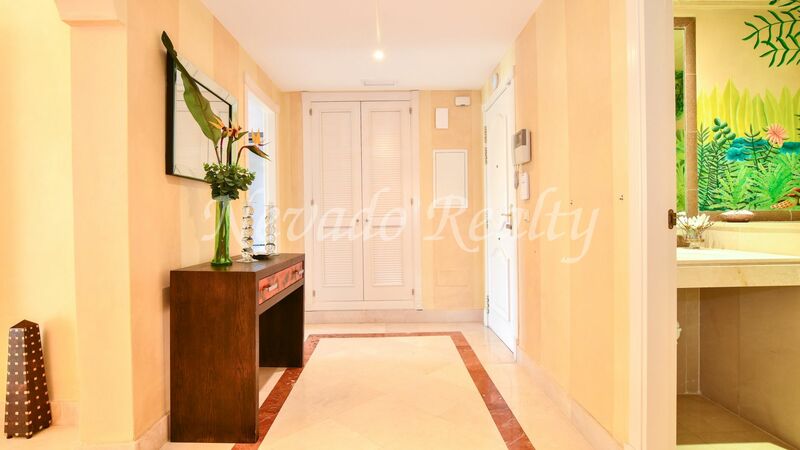 Spacious apartment for sale located on the second line of the beach in Marbella next to the Don Pepe hotel, in a gated complex just 100 meters from the sea with security and 24-hour concierge, swimming pool and direct access to the beach through a path that runs alongside a river. 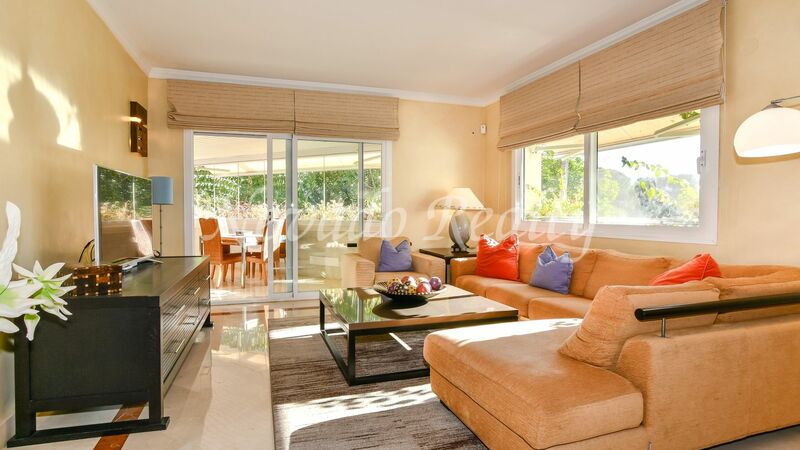 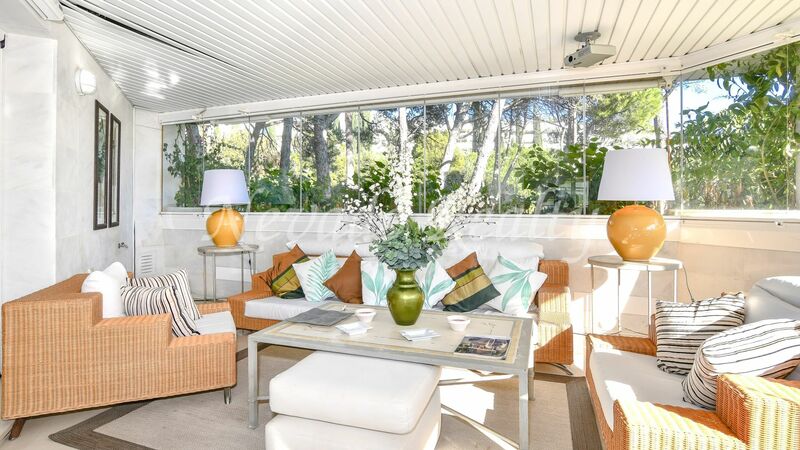 Jardin del Mediterraneo is located in a highly demanded area, being close to private schools, supermarkets, Marbella Conference Center and having all the facilities and services at hand. 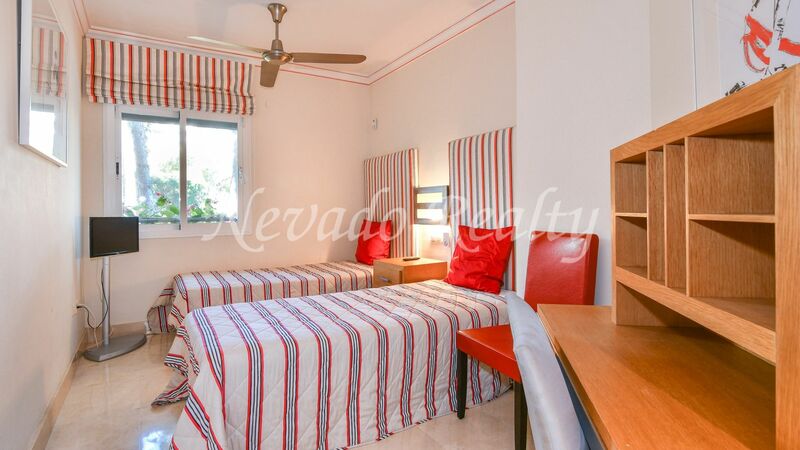 The apartment consists of entrance, large living room with large windows and exit to the covered terrace facing southeast and closed with glass curtains, being able to be used throughout the year, enjoying light and privacy to have nice views of the community gardens; the terrace consists of living room and dining area renovated kitchen fully equipped with Bosch appliances with breakfast table and laundry outside; master bedroom with private bathroom, bath and shower with direct access to the terrace; bedroom suite with bathtub and large windows; third bedroom and independent bathroom. 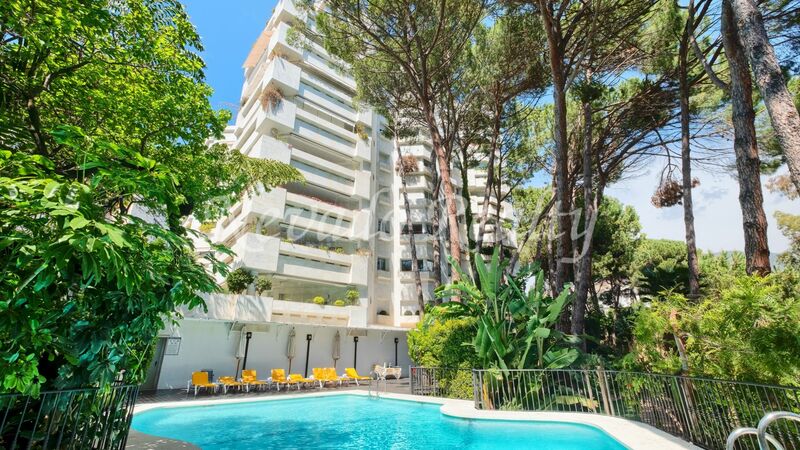 Jardin del Mediterraneo has a tropical style communal pool with hammocks for the use of the owners. 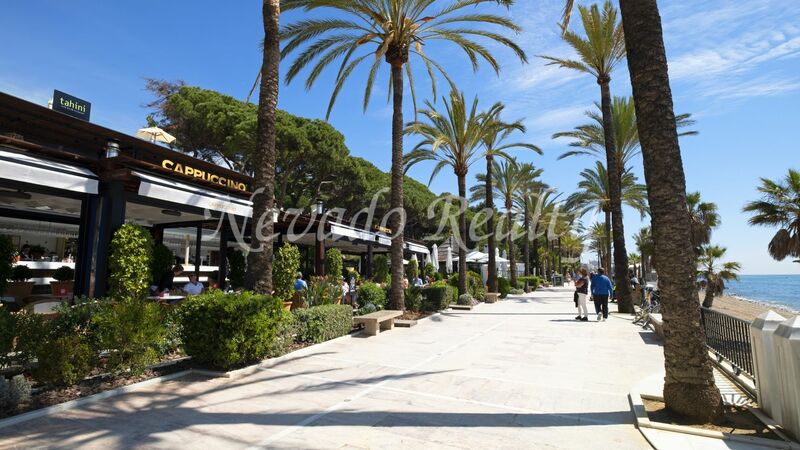 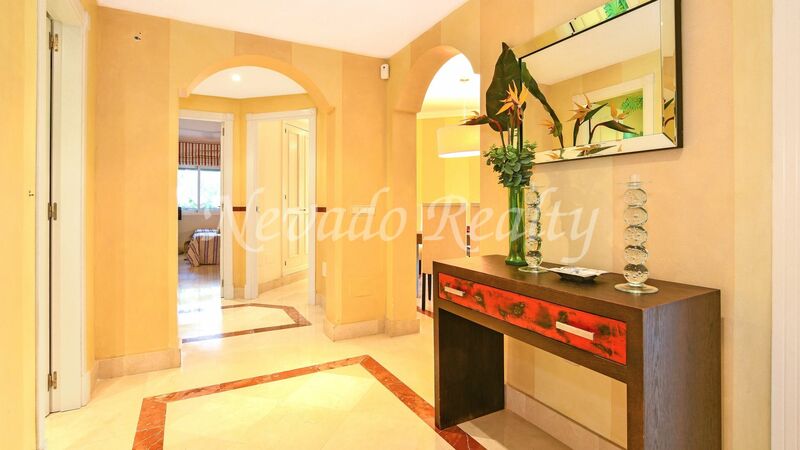 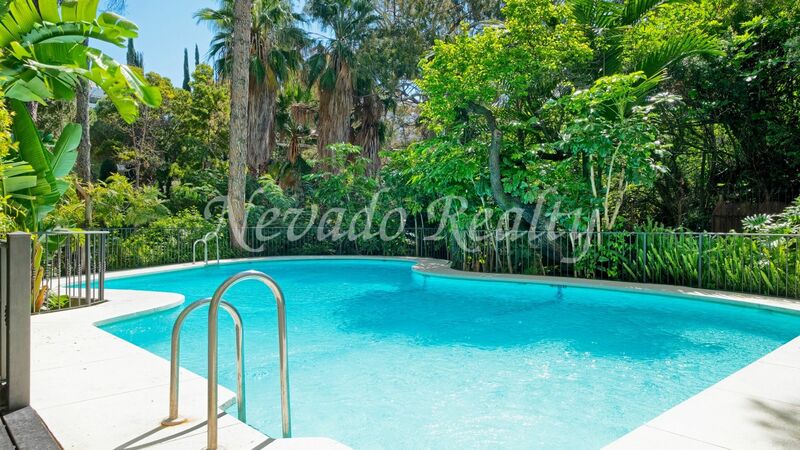 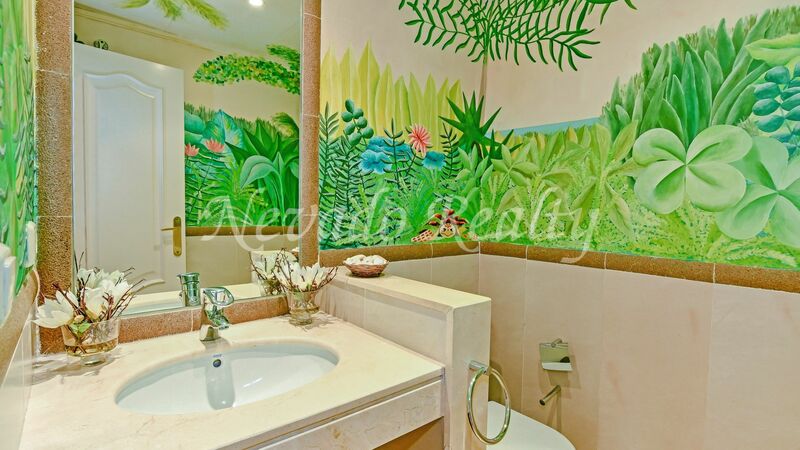 Please send me more information about ref 163-02697P, Apartment in Jardín del Mediterráneo, Marbella Or similar properties.